Ridiculous as this may seem, it is nearly a month since I went to France and this is the first chance I have actually had to sit down and properly reflect on my trip – apart from my usual frantic running around I have had a particularly bad bout of sinusitis and an allergic reaction to a wasp sting that then became infected. The medication has exhausted me and I’ve had a huge amount of work to do in the crazy run up to the Edinburgh Fringe. So, apologies to all my regular readers but now I’m back! The rooftops in Mons. Own photograph. 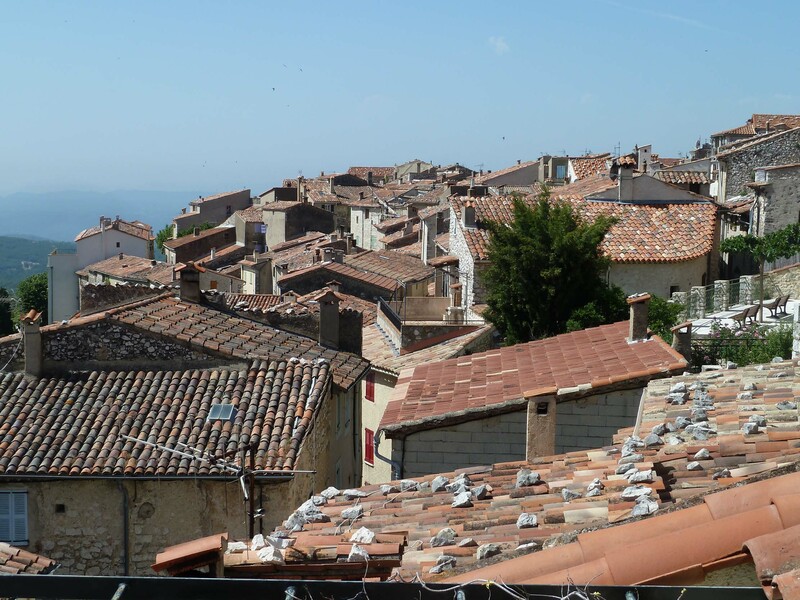 Mons is a village nestled high in the Provence-Alpes-Côte d’Azur region, seemingly isolated in the middle of a picturesque nowhere. The village doesn’t seem to have changed in centuries – accessed only by hairpin bends that climb the mountains, its streets are narrow and imbued with character. Mons forces you to relax and the Art Lover’s House is the perfect place to do this. Narrow streets in Mons. Own photograph. This no ordinary house, it is also a gallery but it is available to rent and you can spend a holiday surrounded by an eclectic mix of work in all media. There are sculptures dotted in the maze-like corridors, vibrant paintings, photographs of cityscapes, charcoals of changing landscapes with never-ending rows of Venetian gondolas, abstract nudes, pieces of ironwork and a wonderful collection of vintage Olympic Games’ posters at the very top of the house in a room overlooking the entire valley and mountainous landscape. 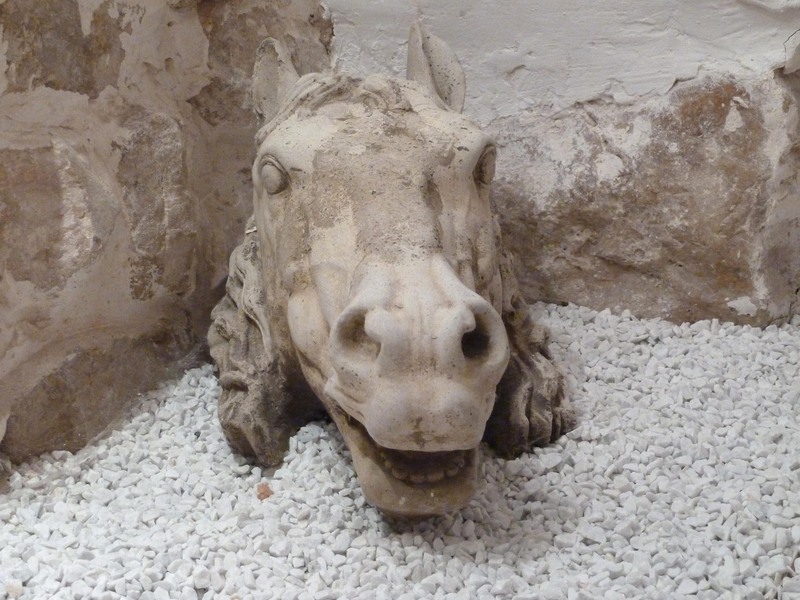 The horse’s head near the cave looks like a ruin amongst the gravel but is perfectly placed to surprise you every time you turn the corner. One little ledge of a twisting staircase reveals a chair and a pair of boots tucked behind glass – maybe for the house’s ghost or for the resident artist to return to his perch after a day exploring the rugged landscape. There’s something here for everyone and if forced relaxation doesn’t work for you there’s plenty to visit nearby as I found out. Art Lover’s House. Own photograph. Nearby Seillans makes the hills in Mons seem very slight indeed. 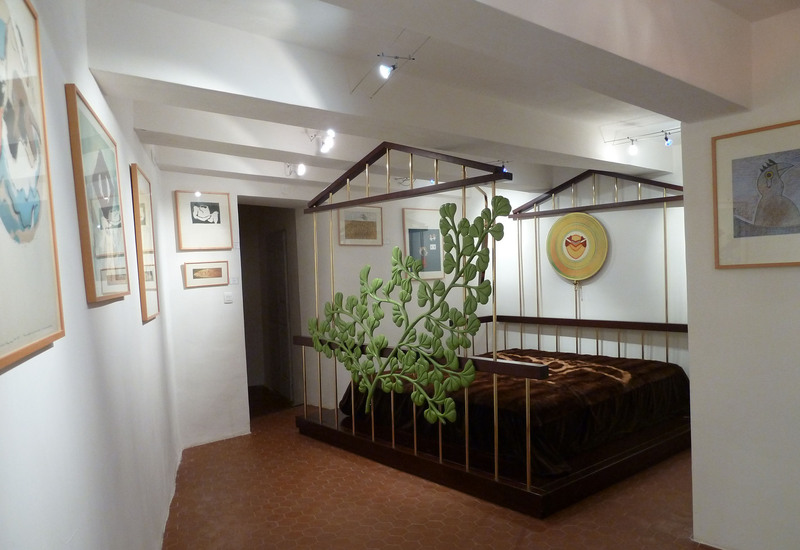 Accessible only by foot, it was the home of Max Ernst and Dorothea Tanning in the ’60s and ’70s and it now hosts a quirky Max Ernst museum above the tourist office, open in the afternoons. 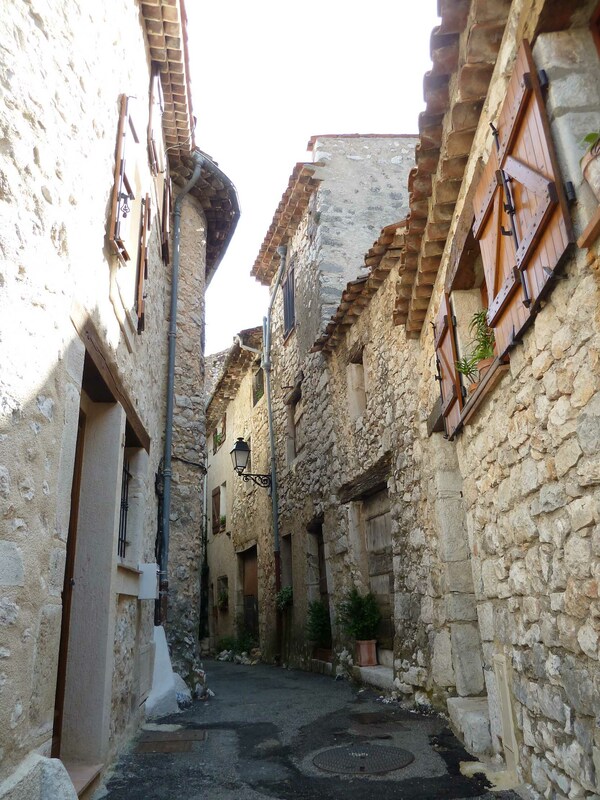 Ernst first discovered Seillans when visiting Patrick Waldberg and, aged 73, he fell in love with the sleepy village. He moved there with Tanning and remained there for the last 12 years of his life. I paid my two euros to ascend the stairs and what I found was a surprise. There are no attendants in the exhibition area itself; in fact, you have to turn the lights on and off yourself. And why not? I think this is rather a sensible and economical idea. Although I imagine there are times in the summer when Seillans is busy, they certainly do not need to man this space full time. On display are, mainly, lithographs intended as illustrations for the works of Surrealist friends but this is not a bad show for a small museum. 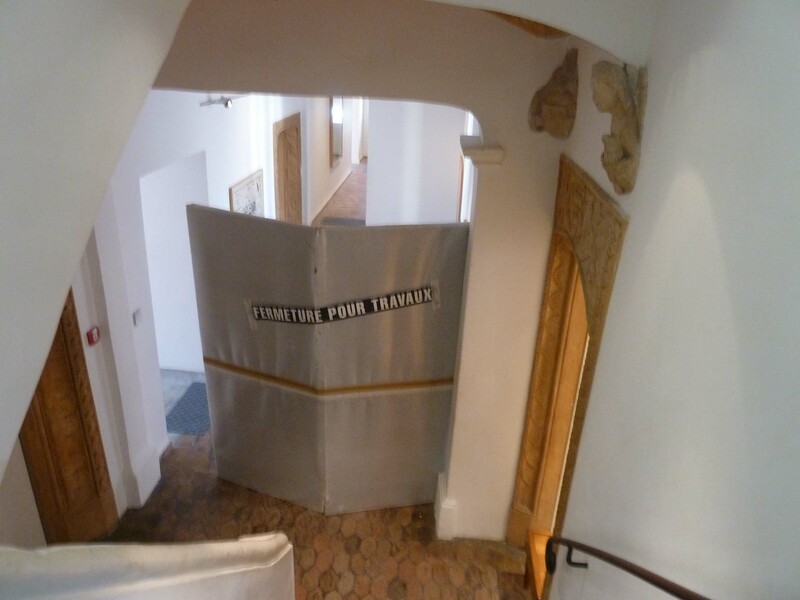 Inside the Max Ernst Museum. 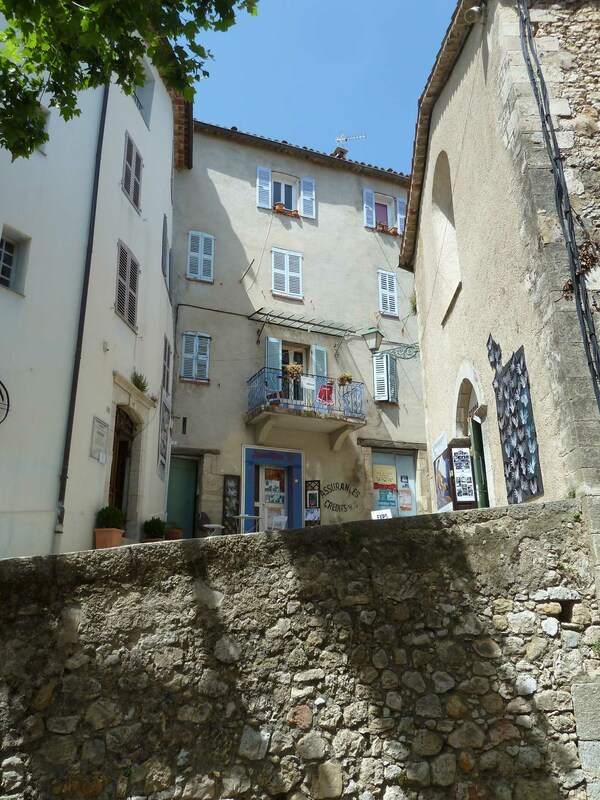 Even today, Seillans is a very artistic town with galleries throwing open their doors on every street. One such space is The Orange Tree Gallery – part of Tessa and Nigel Cox’s house – which is filled with light and a wonderful orange tree growing in the middle (a couple of fake oranges have been strung onto the branches, adding to the charm and mystique of the space). Tessa is the artist in residence and, as well as displaying her own works, she is very welcoming to visitors having a nose around her studio. Considering the amount of cats I had seen in this area, sadly we didn’t meet their famous black cat who can be spotted in most of the publicity shots of the gallery. 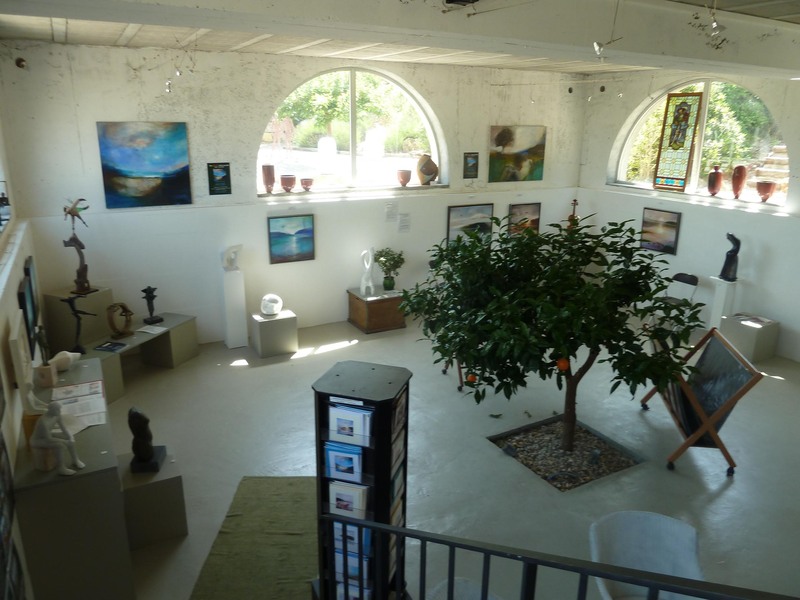 The Orange Tree Gallery. Own photograph. As we had a late flight home, we made the most of the day by visiting Antibes on our way to Nice. 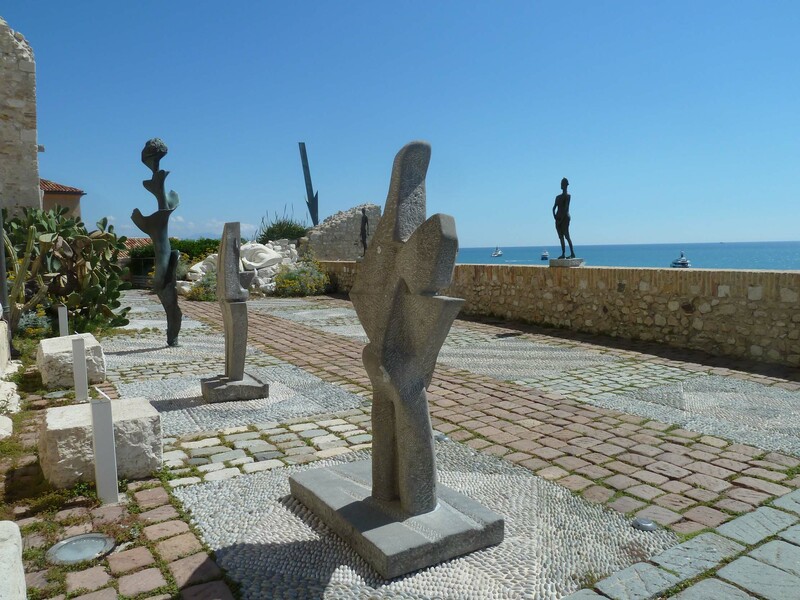 Located on a completely stunning stretch of coast, Antibes is home to the Picasso Museum which is housed in the Château Grimaldi, built on the foundations of an ancient Greek town. 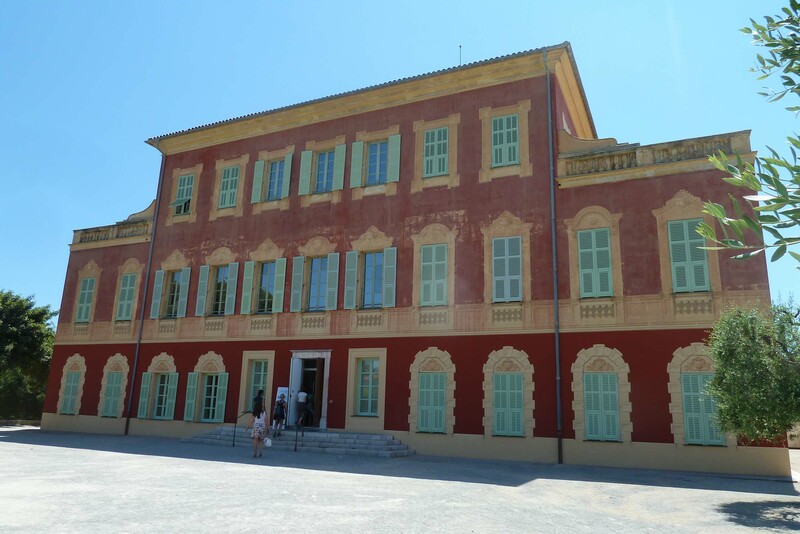 In its time it has been the Grimaldi family home, the town hall of Antibes and for six months in 1946 it was home to Pablo Picasso. During this time he produced paintings and frescoes that still remain there. Part of what makes the museum so special is Picasso’s inherent connection to the building that you can still feel even to this day. The collections holds around 250 Picasso works of varying quality and many of the lesser-known works deserve particular note. The collection is a joy to behold but not too big so as to overwhelm. I took a couple of people with me who don’t have my enthusiasm for art and they found themselves swept away. The museum’s location makes it particularly special; standing in the sculpture courtyard overlooking the perfect blue sea of the Côte d’Azur is magical and presents the sculptures in an entirely new framework. The sculpture terrace. Own photograph. The museum also has a modern and contemporary collection which, sadly, was largely closed for a rehang during my visit but this allowed me to truly focus on the Picasso. Closed at the Picasso Museum. Own photograph. Moving on to Nice itself my first stop was the Chagall Museum. 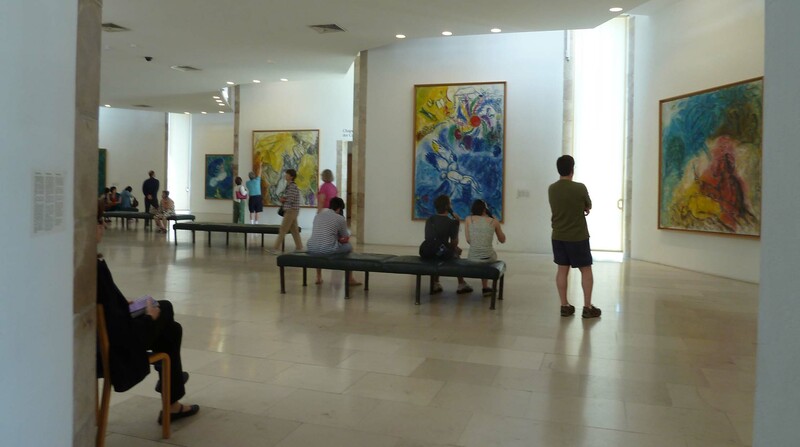 I’m a Chagall fan anyway but seeing his works en masse in this specially-designed space was mind-blowing. Everywhere I turned there was another work of exceptional quality. Chagall creates another world, a richly emotive setting of Biblical and imaginary figures who wander from canvas to canvas through his ever-shifting landscapes. 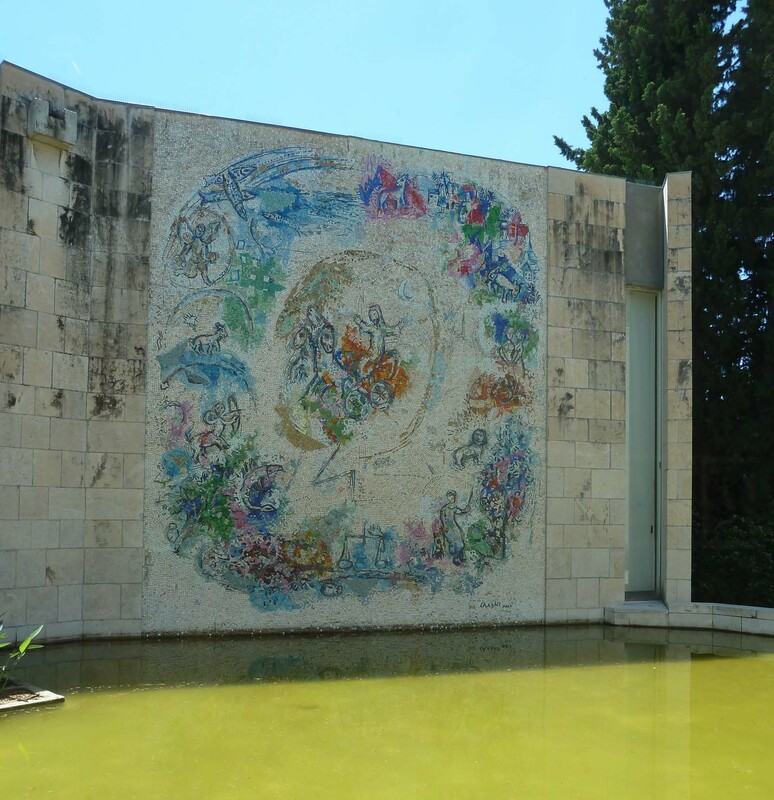 The museum was built in close collaboration with Chagall himself; its simple interiors within a highly complex architectural structure are full of spaces flooded with natural light. Chagall’s Biblical Message, a cycle of seventeen large-format paintings, forms the heart of the collection and is on permanent display. Chagall felt that his paintings provided a commentary on biblical texts – one that you can appreciate and understand regardless of religious convictions. The museum is the perfect setting for these perfect works. Chagall’s Biblical Message on display. Own photograph. A concert hall, where a film about Chagall is currently being shown, is lit by three exquisite stained-glass windows showing the seven days of Creation. The windows are remarkably abstract with only the middle window containing substantial recognisable figurative elements. Just when you think there can’t be any more you stumble across a mosaic on an outside wall above a pool. If you only want to see one thing in the area this museum would have to be my recommendation. The outside mosaic at the museum. Own photograph. The Matisse Museum didn’t overwhelm me in quite the same way and the collection was easy to walk through without as much devotion to the individual works on display. The permanent collection seeks to look at the artist’s development and his experimentation and includes objects that were in his possession throughout his career. It’s also up a very long hill so I don’t recommend being brave and walking up or down. There’s a very good bus that goes from the Chagall to the Matisse but, unfortunately, I didn’t find the right bus stop to get back down and ended up walking for miles. To celebrate its 50th anniversary the Matisse Museum has mounted an exhibition looking at the theme of music running through Matisse’s career, particularly linked to his presence in Nice. While music may have formed part of Matisse’s everyday environment I didn’t feel this was conveyed by the exhibition itself. The pamphlet tells that each of his children played an instrument, that his paintings portray various musical instruments and that, in the 1920s, he produced numerous paintings of Henrietta at the piano. He paints instruments in the way others may paint a portrait. But, here, his passion is somewhat diluted. The villa in which the museum is housed is particularly striking – an imposing building in 17th century Genoese style with a red-ochre façade overlooking the nearby Roman ruins and the olive grove that stretches out in front. The Matisse Museum in Nice. Own photograph. 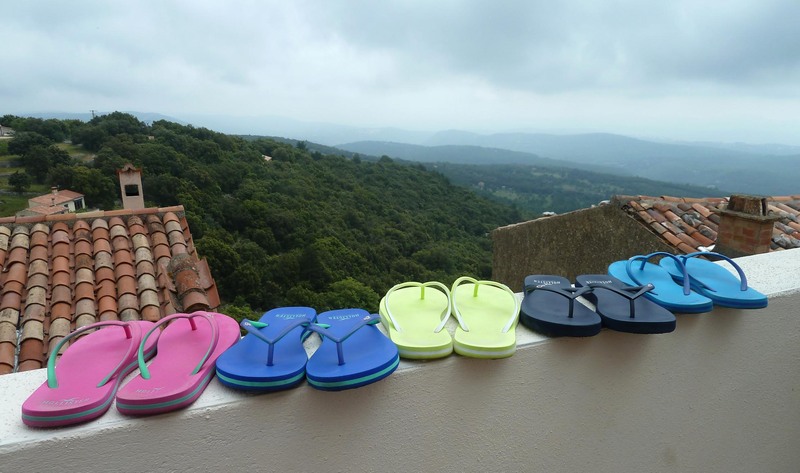 I always find visiting the South of France to be special. Every time I head in that direction, I visit something new whether it be a large museum, an artist’s studio or an unexpected commercial gallery hidden in a maze of cobbled streets. I can’t wait to go back, it’s just a case of finding the time. For more information about all the places I visited see: http://artlovershouse.com/, http://www.theorangetreegalerie.com/, http://www.antibes-juanlespins.com/les-musees/picasso, http://www.musees-nationaux-alpesmaritimes.fr/chagall/ and http://www.musee-matisse-nice.org/.